Okiedokieihooked, can you play Township by yourself or is it multiple player only. Like can you only get things you need from other players? Yes you can get from other players - like at some point you have to fill a train - if you dont have what you need select help and othes can see and they can help if they want form their screen! ... hey Aaron, who are the Goldberg's? The wrestler guy?or the oj people? Fee, It's a comedy show on ABC that airs in the fall. It's loosely based on the writers/producers childhood, Which was sometime in the 80's. If You're curious You can find more info on it here. 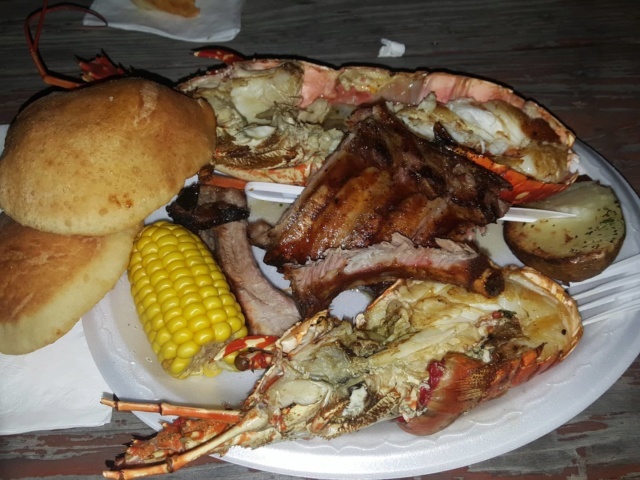 That plate of lobster and ribs looks tasty, Toni! What's the last thing you read? A Wilder Rose by Susan Wittig Albert. It's making me angry. What's the last thing you played? Sims 2! Subject: Re: "What's the Last Thing You..."